For Category 5e and 6, there is no minimum length requirement. ANSI/TIA/EIA-568-B.2-1 in Annex K does give a warning about reflected FEXT on shorter links with minimally compliant components. The obvious solution is not to purchase minimally compliant components. In the early days of Cat 6 when vendors were struggling to do better than marginally compliant, short links were an issue. Today, this is not an issue if you stay with a main stream vendor. Within this same standard, there is also advice on distance when using a consolidation point. It advises a minimum distance of 5 m between the CP and TO. In ISO/IEC they are a little more clearer is specifying 15 m between the DP and CP. This is all for Category 6/Class E.
With regards to Category 6A, there is a minimum length requirement – kind of. In Annex J of ANSI/TIA-568-B.2-10 is describes worst case modeling using a 10 m link. The suggestion therefore is that you should not go less than 10 m. But again, that is with minimally compliant components. As with Category 6 stated above, there are now components available that will give you passing field tests below 10 m. HOWEVER, even vendors with good components may still have a minimum length requirement in their design specifications. The only way to know where you stand is to talk to the vendor AND test it to see. If you are talking specifically about patch cords, then 0.5 m is the implied minimum length in ANSI/TIA/EIA-568-B.2-1 for a certified patch cord. That’s because the math for the limit lines really does not work below this. Infact, getting a certified patch cord of 0.5 is going to be tricky. Many vendors only offer a certified patch cord of 1.0 m or longer. I suspect that this may be the most useful information with regards to your question. Are you current with your software? Some of the most obvious advantages copper offers is that it’s less expensive than fiber cable and much easier to terminate in the field. 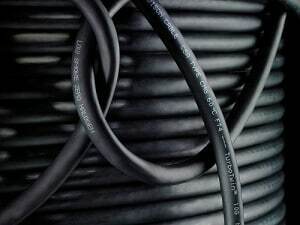 Because copper structured cabling is the most commonly installed cable, there is a vast selection of connecting hardware and networking devices, which are also less expensive than fiber equipment. UTP. This is the most widely used cable. Known as balanced twisted pair, UTP consists of twisted pairs (usually four) in a PVC or plenum jacket. When installing UTP cable, make sure you use trained technicians. Field terminations, bend radius, pulling tension, and cinching can all loosen pair twists and degrade performance. Also take note of any sources of EMI. Choose UTP for electrically quiet environments. Shielded twisted pair (STP, F/UTP, S/FTP, ScTP, S/STP). was traditionally called Screened Twisted Pair (ScTP). You may also see it listed as S/STP. 10 meters or less to reduce signal degradation. PVC cable features an outer polyvinyl chloride jacket that gives off toxic fumes when it burns. It’s most commonly used between the wallplate and workstation. It can be used for horizontal and vertical runs, but only if the building features a contained ventilation system. Plenum cable has a special coating, such as Teflon® FEP, which doesn’t emit toxic fumes when it burns. A plenum is a space within the building designed for the movement of environmental air. In most office buildings, the space above the ceiling is used for the HVAC air return. If cable goes through that space, it must be “plenum-rated.” LS0H (Low Smoke, Zero Halogen) is a type of plenum cable with a thermoplastic compound that reduces the amount of toxic and corrosive gases emitted during combustion.